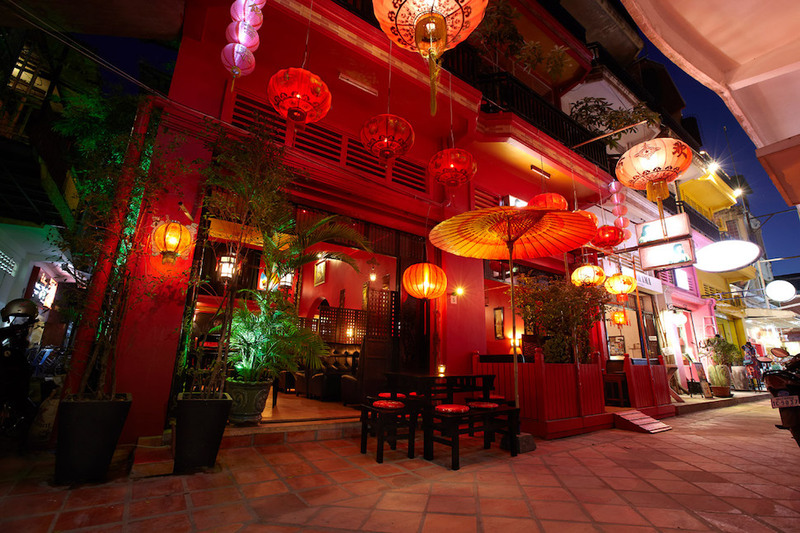 Miss Wong cocktail bar is located within walking distance of Siem Reap’s Pub Street, but don’t worry—it has nothing in common with that disastrous tourist drag. 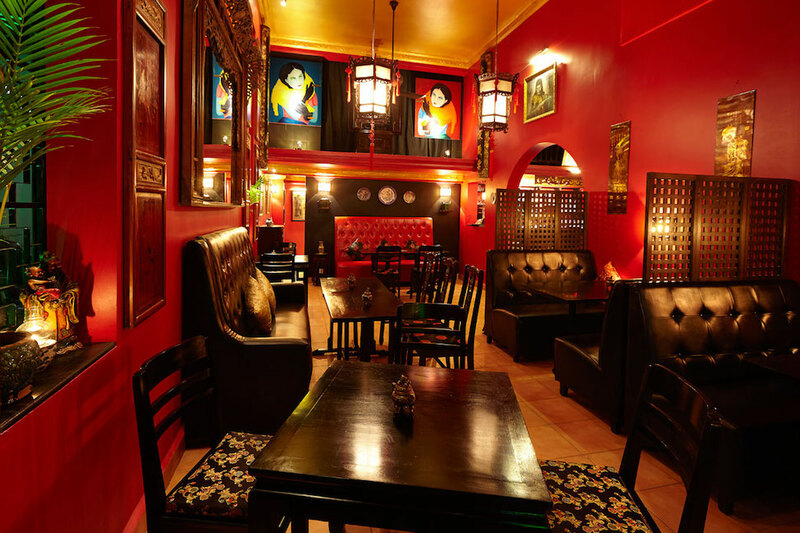 Inside this dimly lit Old Shanghai-themed cocktail bar, it’s more like a Wong Kar-wai set, with vintage paper lanterns hanging from the ceiling and bordello-ish lighting conjuring darkly romantic vibes. 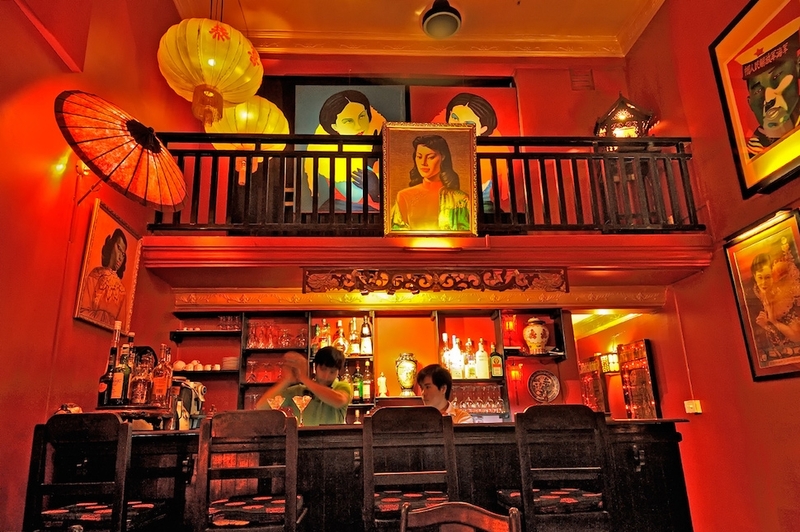 A Vladimir Tretchikoff painting of Miss Wong herself hangs above the bar, where classic martinis, negronis, and caipirinhas are dispensed alongside gin-and-tonic specials. (Try the Sitting Buddha, made with fresh pineapple, cilantro, and ginger, or the Queen Mum, which melds cucumber with chamomile tea.) 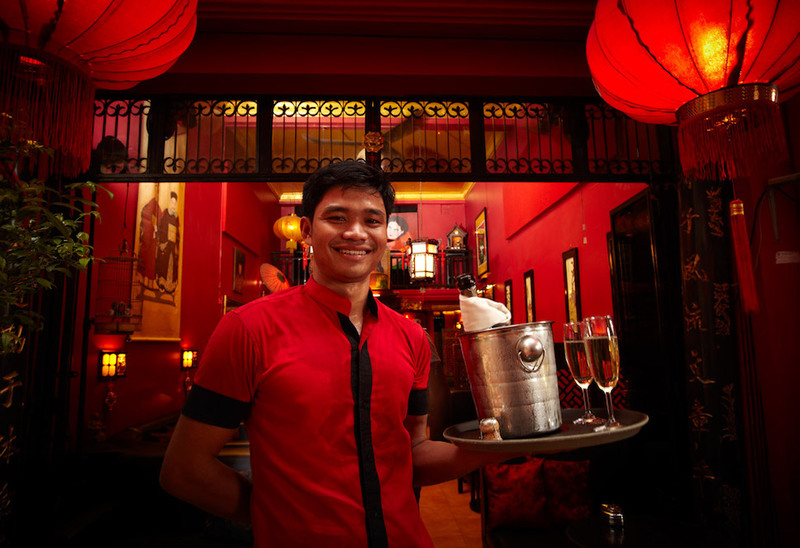 To eat, you’ve got bar food portions of dim sum, hot pots, and barbecued duck pancakes. Is it the most authentic food you’ll eat in your life? Of course not. The place was founded by a radio journalist from New Zealand. But compared to Pub Street, it’s a miracle from the heavens. The Lane, Siem Reap, Cambodia; +855-92-428-332.